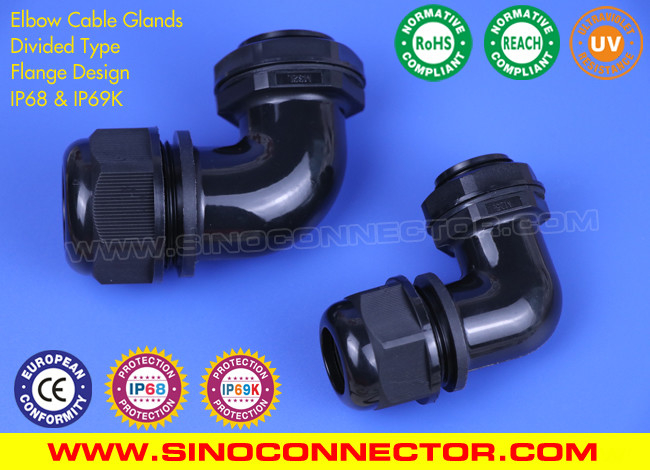 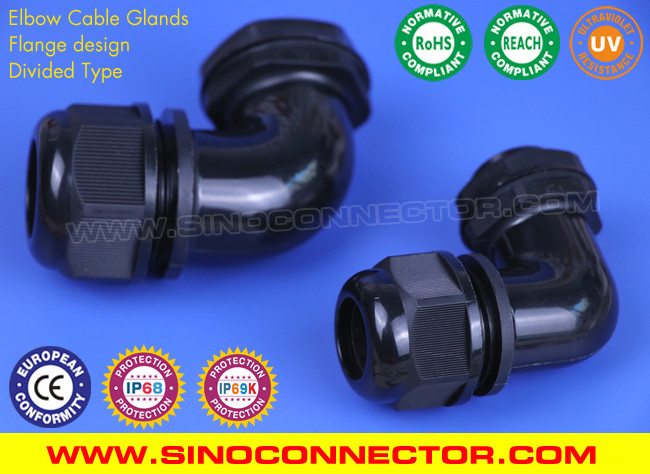 Divided Type IP68 Elbow Cable Glands with Flat Gasket (Flange Design) protect the cables from breakage and provides the cable protection against the ingress of dust, water, weak acid and alkaline, alcohol, oil, grease, solvents & common solvency. With its outstanding ability in weather resistance, strong tensile strength, high watertight & airtight performance and high security & stability, Divided Type IP68 Elbow Cable Glands with Flat Gasket (Flange Design) are the best cable entry systems widely used for connecting, securing and sealing the flexible cables on hand-held equipments, moving machineries, telecommunications, network communication, automatic control, power supplies, switches, motors, distribution boxes, solar PV modules, Inverters, lightings, displays, traffics, signals, surveillance cameras, plant engineerings, meters and instruments, etc. 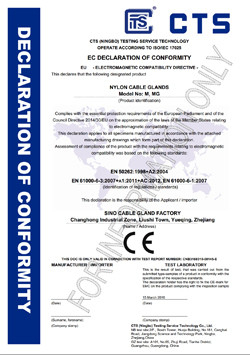 Raw material: UL-approved new Polyamide 66, flammability 94V-2 for Sealing Nut, Locknut & Body (contact us for 94V-0 material). 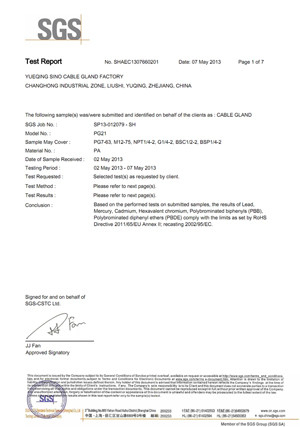 Quality grade: High quality can last 8-12 years of long service life for indoor applications.